Ásvé had this stone raised in memory of Arnulfr, her good son. He lived here ... a man free with food and eloquent. 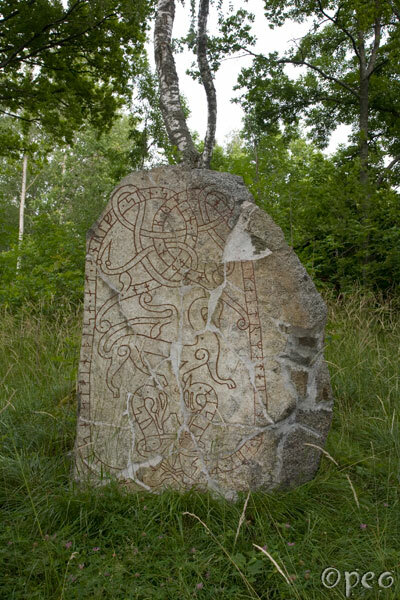 A beautiful rune stone.... broken in many pieces but mended.